Pixel Film Studios presents ProFilter Grunge, a stackable set of gritty filters and overlays that produces dirty, eroded, and rough looks. Choose and combine presets that include multiple customization options to change any FCPX project into a destroyed and archaic world. Quickly create unique projects with our simple to use controls that makes editing a breeze. 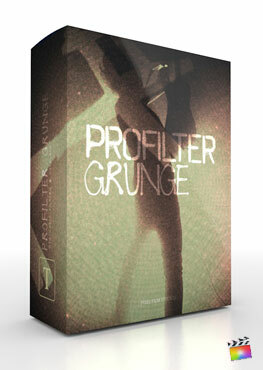 Make a bold statement with ProFilter Grunge by Pixel Film Studios, only for Final Cut Pro X. This plugin requires Mac OS 10.13 High Sierra and FCPX 10.4.